WINNIPEG - Manitoba Premier Greg Selinger is sticking with his commitment to the provincial sales tax hike that some believe is the reason he's fighting to keep his job as leader of the province's NDP. Selinger, who opened his campaign office in Winnipeg on Saturday, says he has listened to Manitobans and they've told him they want that money going to infrastructure. Leadership challenger Theresa Oswald has said she would set up a PST rebate for low-income families, while fellow challenger Steve Ashton has promised a referendum on the sales tax. The governing New Democrats plummeted in opinion polls in 2013 after raising the provincial sales tax to eight per cent from seven. Selinger says in the first year of the tax, the province gained 8,100 new jobs and saw an additional economic growth of over $1 billion dollars. The leadership race was called after a caucus revolt last year. The party will vote on the leadership March 8. "If we can create good jobs and respond to the priorities of Manitobans, we'll phase it out after 10 years. We're in the second year of the program, so it's got eight more years to go," Selinger said about the tax on Saturday. Oswald, who was one of five senior cabinet ministers who resigned their portfolios in November after suggesting Selinger should quit in order to help the party, has said she had serious concerns about the PST even though she voted for it. But she has said it wouldn't be wise to revoke the hike now because it's being used to leverage dollars from the federal government through the Building Canada Fund. 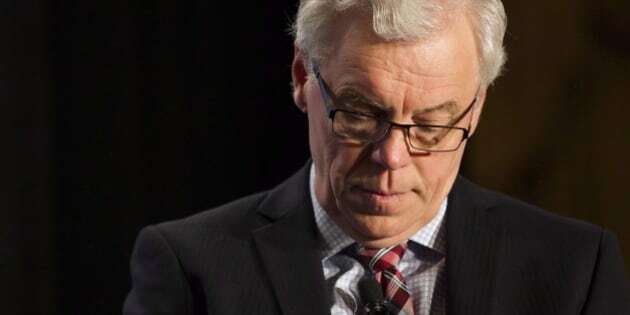 Selinger said the leadership campaign will remain a lower priority for him than governing the province, noting he has a proven track record of leadership. "We have one of the strongest economies in the country, and we've made sure that when we develop that economy we do it in a way that respects the environment, and is inclusive, and builds opportunities for everybody in Manitoba to be a part of that economy," Selinger said.